Los Angeles, CA, United States (4E) – Michael Buble stuck with his announcement saying that he and his wife will be putting their careers on hold as they want to be there for their son Noah due to his cancer diagnosis. 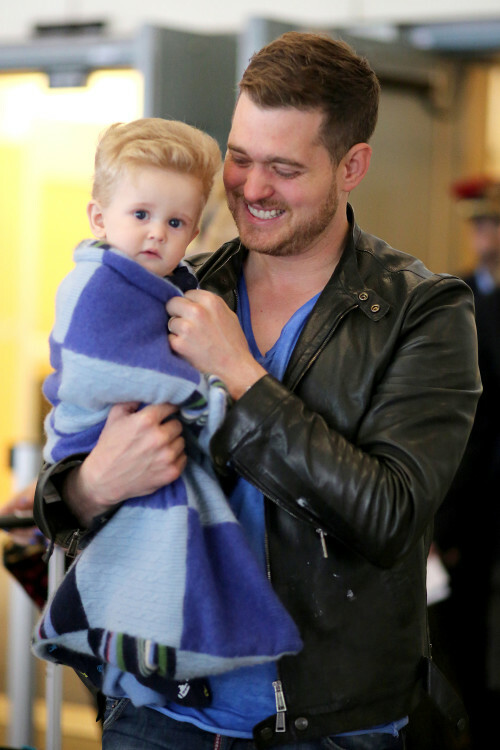 Buble and his wife, Luisana Lopilato , a model, announced last week that their son is battling cancer but did not provide further details. Buble was supposed to be part of the BBC Music Awards set on December 12. In the statement of Buble and Lopilato , they said, "We are devastated by the recent cancer diagnosis of our eldest son Noah who is currently in treatment in the United States. We've always talked a lot about the importance of the family and the love we have for our children. Luisana and I are going to spend all our time and attention to help Noah to get better, by suspending our professional activities for now." The couple went on to ask fans to pray for their son and respect their privacy. They added that they have a long journey ahead of them and hopes that the support of their family, friends, and fans will let them win the battle. Steve Wright announced the withdrawal of Buble from the concert on his BBA Radio 2 show and BBC Music Director Bob Shennon also said in a statement, “We send Michael and his family our very best wishes.” The event is scheduled to take place at London’s ExCel auditorium and will feature other artists like Kaiser Chiefs, Emeli Sande , and Lukas Graham. Aside from the older son of Buble and Lopilato , the two also have a nine-month-old son named Eli.